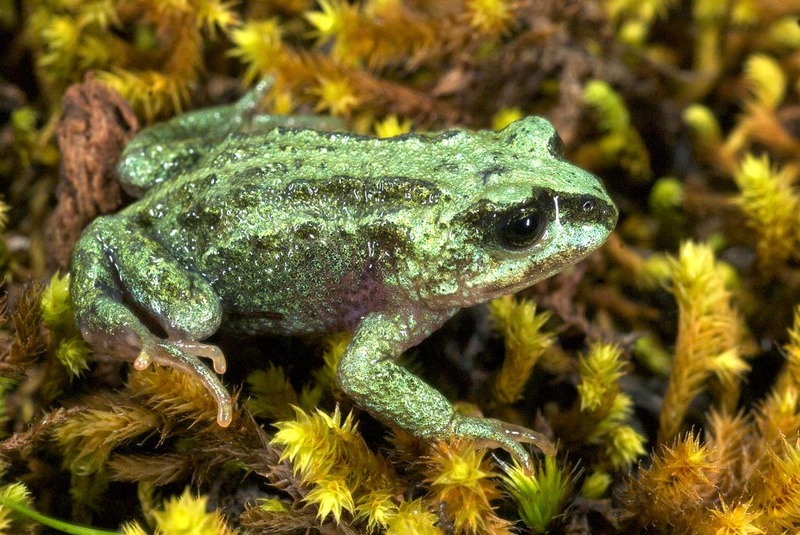 The creation of a new road in the Bale Mountains, Ethiopia, in the 1980s gave herpetologists a rare opportunity to study amphibians in the area. Michele, a PhD student in the research group, was part of a team which recently repeated Amphibian surveys first done in 1986. The team found some potentially very serious declines in amphibians from the area. 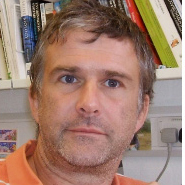 Results have recently been published in the journal Oryx. The Bale Mountains lie in southern Ethiopia, east of the Rift Valley. The Mountains rise to nearly 4,400 m, and the extensive massif has a rich flora and fauna, including many unique, rare, spectacular and threatened taxa. Hillman (1986) considered the Mountains ‘a centre of faunal endemicity, probably with the highest rate of animal endemicity for a terrestrial habitat anywhere in the world’. The highest part of the region, the Sanetti Plateau and associated peaks, comprises Afroalpine grasslands but to the south is the Harenna escarpment that drops from 3,200 to 2,000 m in just 8 km. 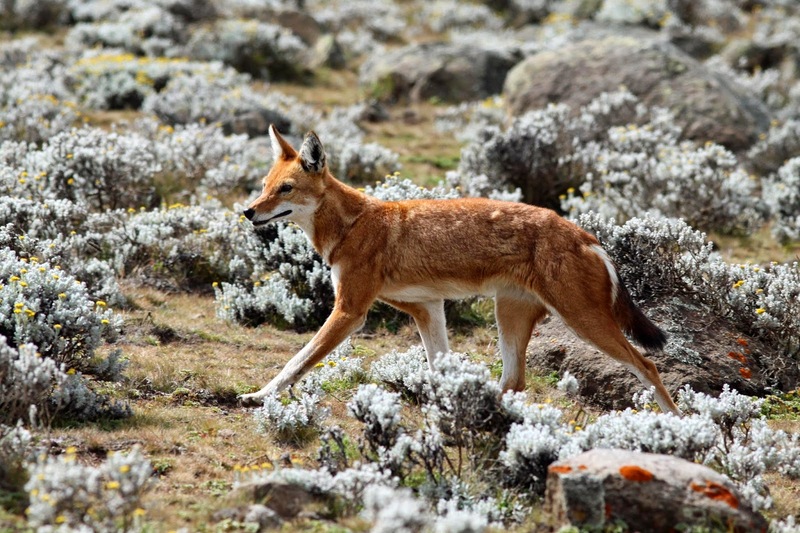 A substantial area (c. 2,200 sq km) of the region is covered by the Bale Mountains National Park, established in 1971 but not yet formally gazetted by the Ethiopian government. Despite a long history of human habitation in the area, the Bale Mountains remained largely unexplored scientifically until the middle of the 20th century. W.H. Osgood, from the Chicago Field Museum, collected some amphibians and reptiles in 1926–1927, and M.J. Largen and colleagues carried out extensive collections between 1971 and 1975. Early collecting expeditions were centred around Dinshu and the northern slopes below the Sanetti Plateau. Around 15 amphibian species (all anurans) have been reported from the Bale Mountains, including 10 endemics (Largen, 2001; Largen & Spawls, 2010). 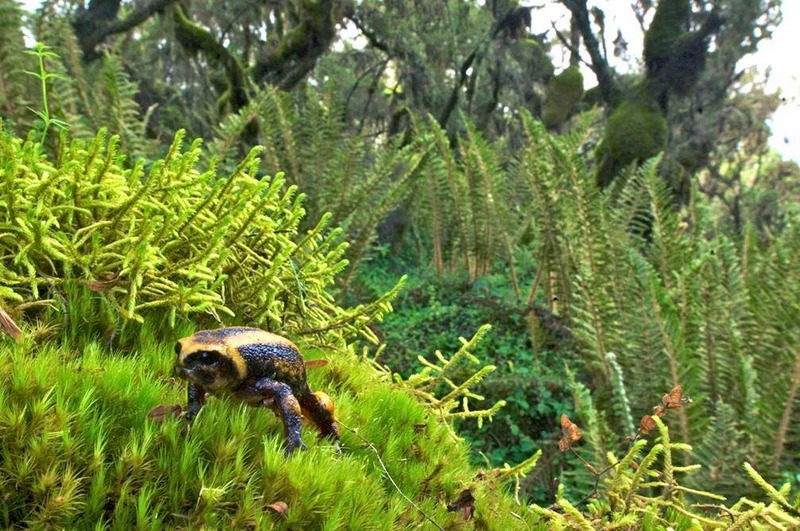 The Bale Mountains National Park is an ‘Alliance for Zero Extinction’ site (http://www.zeroextinction.org), partly because of its threatened amphibians (Alliance for Zero Extinction, 2010). Given the Park’s importance for their conservation, we focus here on four monotypic frog genera: all endemic to Ethiopia and three endemic to the Bale Mountains. In 1983, when a new road was constructed through the forest, it became possible to reach the Harenna Forest, on the southern side of the massif. 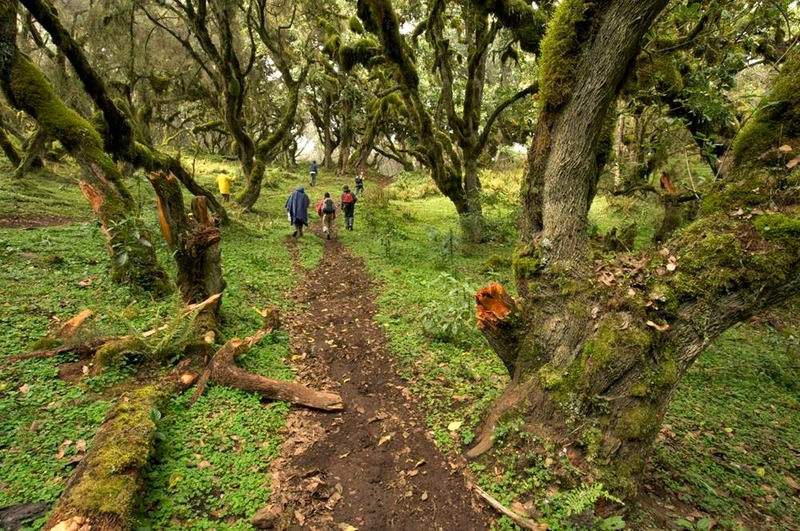 Conscious of the conservation threat posed by the new road, the Ethiopian Wildlife Conservation Organization arranged an expedition with Addis Ababa University to conduct a preliminary survey of the Harenna Forest in August 1986. During a meeting in London a few years ago, Dr. Largen said that all the species discovered during the 1986 expedition were abundant, or very abundant, and that they often were seen, directly from the car, moving around the vegetation right by the side of the road. In 2009, I was part of a team of five researchers, David Gower from the NHML, U.K. Simon Loader and Abebe Mengistu from University of Basel, Switzerland, and Rafael de Sa from University of Richmond, U.S.A. We spent around one month surveying frogs both in Bale Mountains and some of the western forests around the town of Bonga. This survey gave us the opportunity to re-survey frogs in the areas first surveyed in 1986. At that time, frogs were easy to find along the newly cut road – the surveyors could simply stop their car and collect many species of frogs right by the side of the road. The results of our re-survey are presented in an Oryx paper. We present long-term quantitative data (individuals encountered per person hour of searching) for four monotypic frog genera endemic to an Afromontane region of exceptional importance, but growing conservation concern. These include one endemic to the Ethiopian highlands Altiphrynoides osgoodi and three endemic to the Bale Mountains: Altiphrynoides malcolmi; Balebreviceps hillmani; and Ericabatrachus baleensis; all collected during 15 field trips to the Bale Mountains between 1971 and 2009. Only a single confirmed sighting of S. osgoodi has been made since 1995. The other three species have also declined, at least locally. E. baleensis appears to have been extirpated at its type locality and at the same site B. hillmani has declined. These declines may be associated with substantial habitat degradation caused by a growing local human population. Chytrid fungus was also found on several frog species in Bale, although no dead or moribund frogs have yet been encountered. 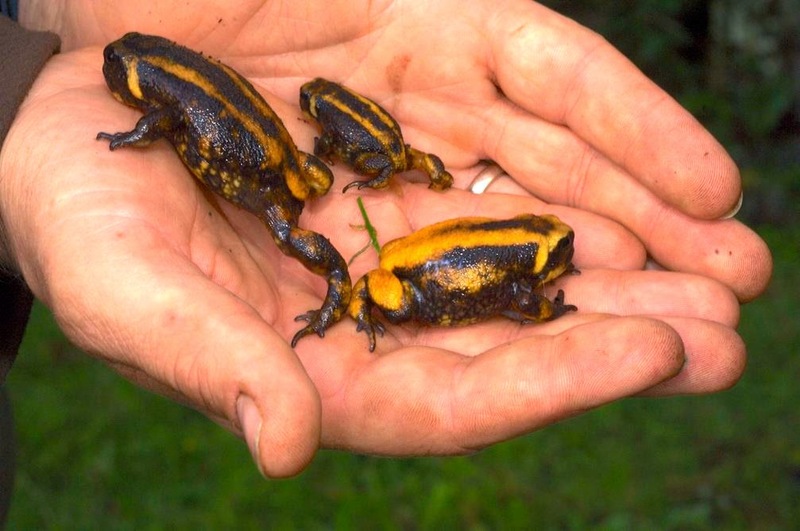 These results mean there is an urgent need for more amphibian surveys in the Bale Mountains. Additionally, we argue that detrimental human exploitation must be halted immediately in at least some parts of the Harenna Forest if a local, and hence global, conservation crisis is to be averted. Hillman, J. (1986) Bale Mountains National Park. Management Plan. Ethiopian Wildlife Conservation Organization, Addis Ababa, Ethiopia. Largen, M.J. (2001) Catalogue of the amphibians of Ethiopia, including a key for their identification.Tropical Zoology, 14:307–402. Largen, M.J. & Spawls, L. (2010) The Amphibians and Reptiles of Ethiopia and Eritrea. Chimaira, Frankfurt Am Main, Germany. Has Worthen's Sparrow had its chips?